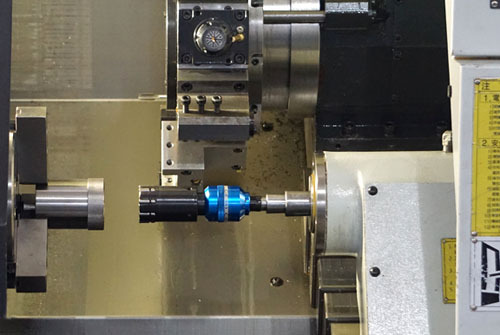 Why is rolling technology used so widely in precision machining? The roller burnishing process is a kind of non-chip processing, and the whole process can be accomplished by applying pressure to the surface of the workpiece by a certain form of rolling tool. Roller burnishing tool is at room temperature using the principle of the metal plastic deformation, rolling flat surface uneven places, to change the surface structure, mechanical properties, shape and size to achieve the effect. Therefore, this method can achieve smooth processing and strengthen two purposes at the same time. The surface strength of metal workpiece is strengthened after surface rolling, and the performance of workpiece, fatigue strength, abrasion resistance and corrosion resistance are obviously improved. After rolling, the hardness of the workpiece can be increased by 15 ~ 30%, while the wear resistance increases by 15%. Rolling processing can increase surface roughness from Ra6.3 to Ra2.4 ~ Ra0.2. And there is a high production efficiency, some of which can be completed in a few minutes or seconds. Rolling process can solve some key problems which are not easy to be realized. For example, the machining of a large cylinder block. At the same time, it is also suitable for the finishing machining of special holes or the finishing process of some special materials. Rolling process is widely used in all large, medium and small factories. In terms of processing quality, production efficiency, production cost and other aspects, roller burnishing process is a superior processing method. In some respects, it can completely replace fine grinding, grinding and honing. At present, the processing method of the rolling tool by external force can be divided into three types: mechanical, rolling and spring. According to the processing nature, it can be divided into light finishing and intensive processing. 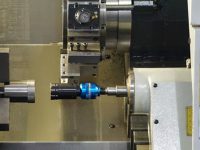 The roller burnishing tool has the advantages that the machining center does not have. Because the roller burnishing tool can be simple and low cost to carry out the ultra-precision machining of parts. It has been widely used in the automotive industry, such as precision machinery, chemical and household appliances. The pipe fitting is required to have sufficient wall thickness when rolling with the roller burnishing tool. Its wall thickness should be based on the unilateral calculation, according to different material hardness to the wall thickness requirement also has the difference. 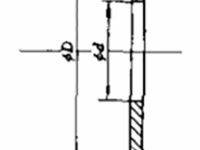 The wall thickness of the steel parts can be thinner than 2mm, while the copper aluminum needs more than 3mm. If the wall is too thin, it will cause deformation of the workpiece, the force is uneven, and even the compressive stress will break the damage. 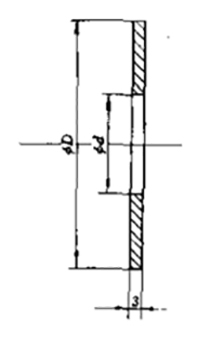 Among RBT customers, some of them need to process thin stainless steel flow orifice plates (figure 1). Because the thickness of the flow orifice plate is very thin and the machining rigidity is very poor, it is very difficult to meet the requirement of form tolerance and surface roughness by adopting conventional machining method. To this end, we adopt three kinds of double rod roller burnishing tools, which can solve the problem of insufficient rigidity.